In what will be the fourth edition of the Africa T20 Cup, Cricket South Africa (CSA) has announced that there will be 20 teams in contention. Of the 20 participating teams are 12 CSA Affiliates, three Associate Members and the five guest African countries. They have been drawn into four pools of five each, with the winners of each group advancing through to the semi-finals. 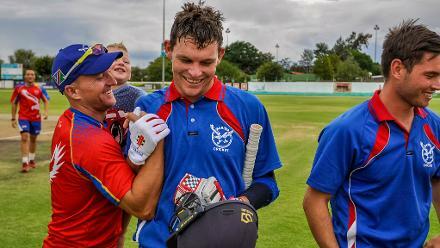 Ghana and Nigeria join Kenya, Namibia and Zimbabwe as the guest nations, while the Mpumalanga and Limpopo provincial sides complete the line-up for the 2018 tournament. Corrie van Zyl, CSA General Manager, hailed the current four-year longevity of the Africa T20 Cup and was full of praise for the expansion. “This being the fourth edition, this competition has grown tremendously,” he commented. “We wanted to expand the competition to 20 teams, so this gave us a chance to increase the opportunities for the African countries as well as give two more South African provinces in Mpumalanga and Limpopo an opportunity. So, with the expansion to 20 teams, it afforded us to have both objectives reached." Last year, KwaZulu Natal Inland topped their group before going on to win the tournament, triumphing over Free State in the final. ICC Africa Development Officer Justine Ligyalingi was thrilled with the tournament's evolution. Proteas fast-bowler @NgidiLungi claimed the player of the tournament award at the inaugural edition in 2015. “We as ICC Africa are delighted that the members are being given the opportunity to participate in this fourth edition of the Africa T20 and this time with more slots,” she said. “This event provides big opportunities for our members to be exposed to playing cricket at the higher level. We do not have many of these opportunities and through such engagements, our members are going to try and work hard to grow the game within their countries."